I was recently asked if I could teach someone, to help them make their own ring and give as a gift for Christmas. 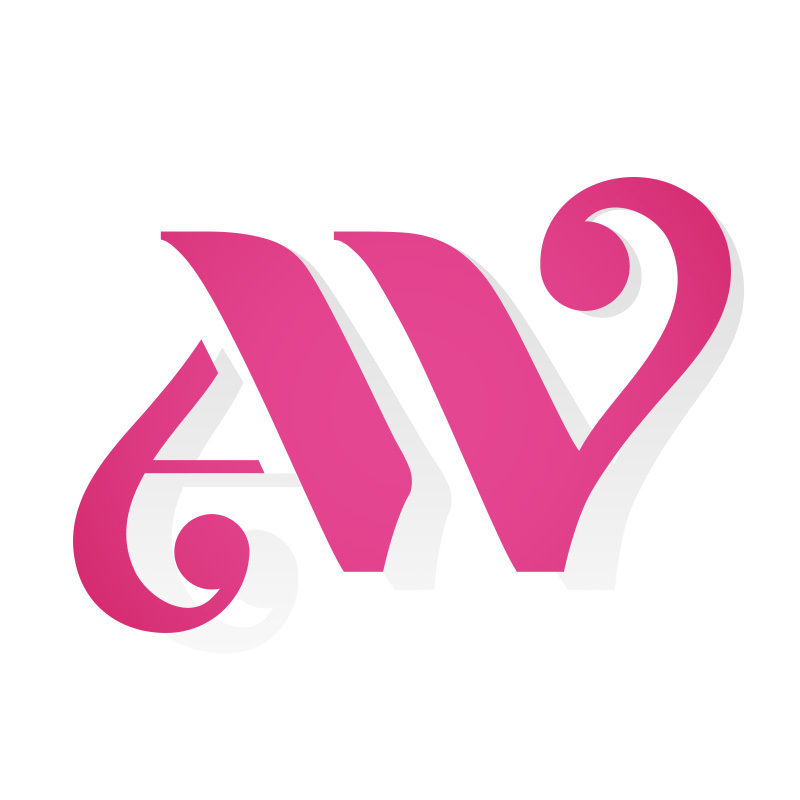 It wasn’t something I had ever given much thought to but immediately thought this would be great fun, and I would love to share what and how I make your commission jewellery. Every year Mike and his Wife try to make each other’s gifts, you can’t get much more thoughtful than that! So after discussing the design of a simple wide silver band we set to work with a flat piece of silver sheet, just a little longer than needed to create the correct size ring. 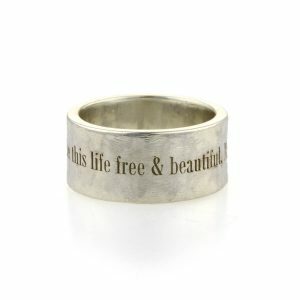 Once Mike had finished is amazing work making his ring I would then laser engrave the ring with text around the outside. The ring was hammered around a ring triblet; a metal stake perfect to hammer rings around. Once Mike had a large round section of silver, using a piercing saw the silver was cut to the correct size needed and then soldered together with a propane blow torch. A little more hammering to a nice smooth round shape Mike then filed all of the surfaces to remove any rough edges and excess solder. He decided to keep the nice filed texture on the outside of the ring and polish the inside and sides of the ring using emery paper and a polishing mop. Take a look at some of the making processes below. As you can see Mike was very pleased with his handy work, and I had thoroughly enjoyed the day too. He went away with a finished piece which his wife should be very pleased with. Teaching must be a very fulfilling job. Something I may think about offering in the future, watch this space! 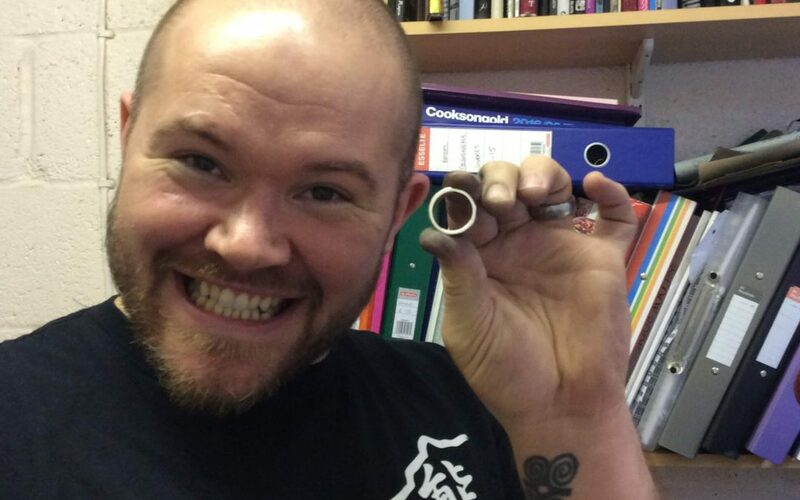 Do you fancy making your own ring in Bristol?